A two Judge Bench of the Supreme Court on Monday stayed the trial of Junaid Khan lynching case on a plea by his father Jalaludeen seeking CBI Investigation in the case. The Bench of Justices Kurian Joseph and Mohan Shantanagoudar has also issued notice to the State and CBI. Jalaludeen has approached the Supreme Court against the November 27, 2017 order of Punjab and Haryana High Court dismissing his petition seeking CBI investigation in to the case. Senior Advocates RS Cheema, Rebecca John assisted by Advocates A Karthik, Tarannum Cheema and Smriti Suresh appeared for the petitioner. The plea, filed by Junaid Khan’s father, Jalaluddin, had alleged that the investigating agency has carried out a seemingly casual and shoddy investigation. It is also submitted that the investigating agency had failed to charge the accused under Sections 153A (promoting enmity on the basis of religion etc. ), 153B (imputations, assertions prejudicial to national integration), 120B (criminal conspiracy) and 149 (unlawful assembly) of the Indian Penal Code. Besides, he had also alleged flaws in the investigating procedures adopted by the State Police. "It is patently clear from reading of the challan papers that the two above mentioned offences and conspiracy to commit the said and the other offences were unerringly disclosed even by the motivated investigation. The Investigating Agency deliberately acted with undue haste because the crime had attracted huge nationwide outcry. The investigation was so managed as to minimize the damage to the marauders and to ensure that most of them are released on bail and face no serious trial at all". It is also submitted that investigation was so manipulated as to give it the shape of a conflict or clash rather than a sinister one-sided hate attack on helpless victims. To achieve this nefarious objective, false witnesses were introduced, statements of real witnesses were arbitrarily recorded without actually eliciting information from them and material evidence been not taken into record. "That unfair nature of investigation became palpably clear from the reading of the alleged confessional statement of the accused. In order to justify itself, the Investigating Agency has clearly brought out most of the relevant material through disclosure statements of the accused instead of incorporating the same in the statement of witnesses. The obvious design behind the same is inadmissibility of the contents of incriminating disclosure statement made by him before the police". The petitioner submitted that the High Court erred in considering that the present circumstances project a clear case of deliberate distortion of true facts during investigation and further provides a clear illustration of the subversion of the investigating functioning of various persons engaged in the task of investigation. The true facts and the correct version have been derailed by introducing the calculated distortions, discrepancies and contradictions. It is also submitted that the High Court erred in ignoring the national ramifications of the present case. "There was no consideration of the apprehensions exhibited by the Petitioner, despite sufficient evidence accorded by him to support the same. In fact, the High Court went on to state that the case had no national ramifications, which is an erroneous assessment of the facts, as they exist. The present case is a clear testament of communal polarization which threaten to harm national harmony and solidarity", said the Petition. The Court, thereafter, opined that allegations of subversion of trial against the present investigating machinery “lack substance” and dismissed the Petition. 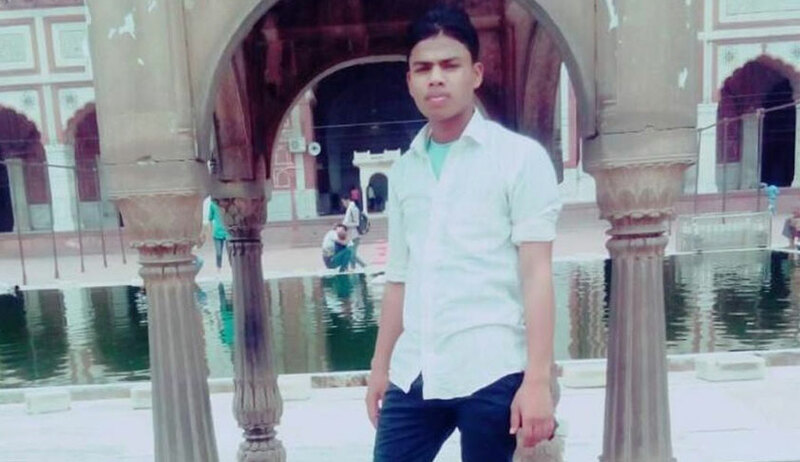 Junaid, who had boarded a Mathura-bound train from Delhi, was allegedly stabbed to death while he was returning home after shopping for Eid in Delhi in June.